SAYRE, AL–The Southern Superstars Short Track Series returned to the ¼ mile Sayre Speedway Saturday night for the Hall Of fame 100 and Mark Day of Clarksville, TN., done what he has done all year with the series and that is win, as he picked up his third win of the season with the series and 9th career win. Chase Oliver of Crossville AL., set fast time with a 12.60 second lap, Day second quick and Hunter Spivey of Decatur, Al., third. Oliver then rolled three for the inversion and this gave Spivey and Day the front row. Spivey and Day battled at the drop of the green flag and raced each other hard and side by side for 10 laps into the race until Oliver got behind Spivey and moved him into the lead with Oliver moving under Day to take over the second spot. Oliver then moved under Spivey by lap 20 and took over the top spot and that left the door open for Day to move into the second spot behind Oliver. Oliver would then hold off Day fighting an ill handing race car and constant pressure from Day kept him on his toes and finally Day got around him with less than 25 laps remaining in the race. 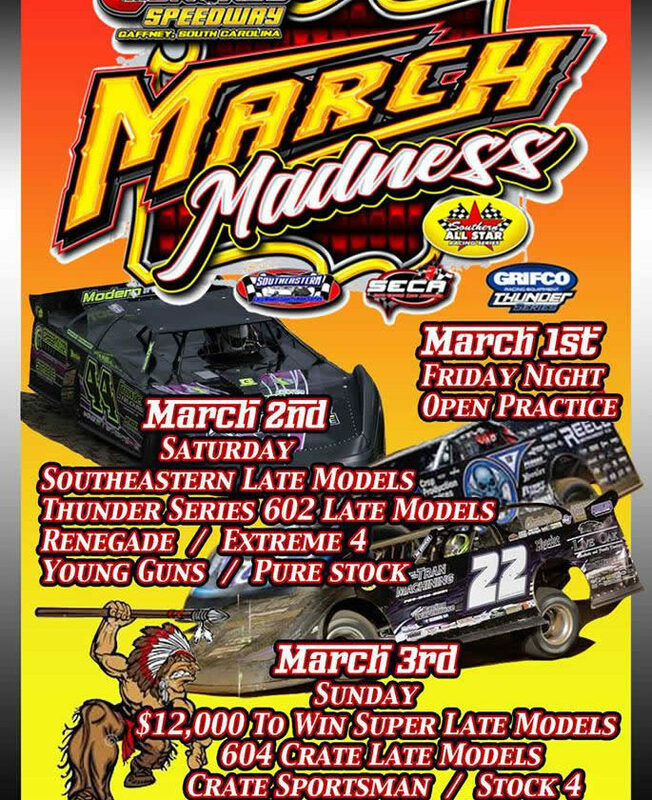 Day remained out front till the end and Oliver could never get close again after that as his car was too far gone to try and make a charge at the end, so Oliver came home in the second spot with Madison, TN., driver Davey Coble coming home in third after his run from the rear. Coble had 5th fast time, but a flat tire forced him to change the tire after qualifying and start at the rear of the field and Coble worked his way to the front and battled with Oliver and Day early but had to settle for a third place finish. Fourth went to Hunter Spivey, who lead early but faded late in the going and fifth place went to Nathan Davis of Adamsville, AL., who got back on the lead lap late it in the race as being the “Lucky Dog” recipient and taking home fifth place. Sixth place went to Brandon Hall who making his first appearance of the year with the series, B J Holley finished 7th, Tom Schuette also in his first appearance of the year came home eighth, ninth to Zane Morgan another driver who was making his first start and round gout the field were Bobby Castleberry and J R Bolden, as the last three cars were in the pits when the race ended due to mechanical problems. 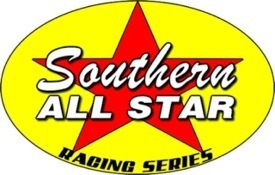 The Southern Superstars Short Track Series is currently with some tracks to figure out some dates for the remaining season and hope to have then published in the next couple of weeks, so stay tuned to the website and Facebook and we will continued to work toward getting back the race we lost and continue to run this season and into he future.